According to a Deadline exclusive, 10 Cloverfield Lane director Dan Trachtenberg is currently in talks to direct a film about Harry Houdini. This is the same project that was due to star Johnny Depp, back when every new project in Hollywood was about Harry Houdini. However, Depp doesn’t appear to be connected with the film any longer, and is at this point older and less widely beloved that the Hungarian-American illusionist and escape artist ever got to be. The film will focus on Houdini’s exploits as an investigator and public debunker of sham spiritualists. 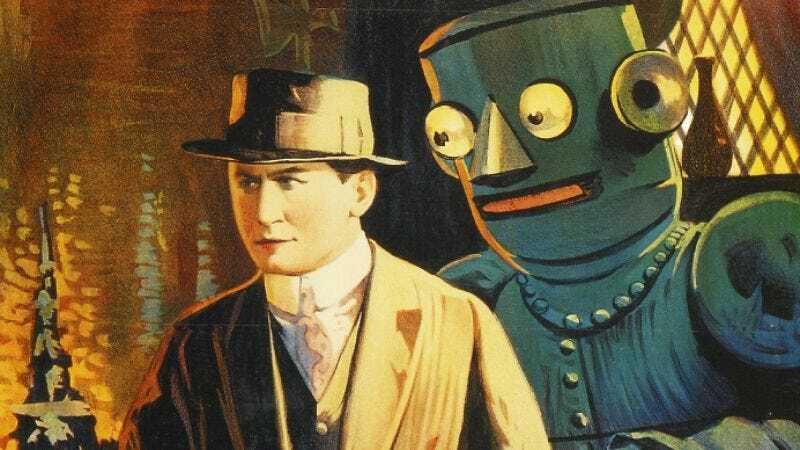 It is unlikely to address the fate of the decidedly non-threatening robot that was a major (and deceptive) selling point of The Master Mystery, the first in a cycle of turgid silent serials in which Houdini, for reason, always seemed to play a Treasury agent fighting counterfeiters in a basement.